Whether you’re an independent contractor in California or rely on contractors for your business, take note. The rules have changed and you need to be aware of them. Most states don’t have a concrete definition of what an independent contractor is, but California has upped the ante. The definition is narrower and today’s gig economy (an environment where temp positions are common and companies contract with independent workers for short-term projects) needed this clarification. 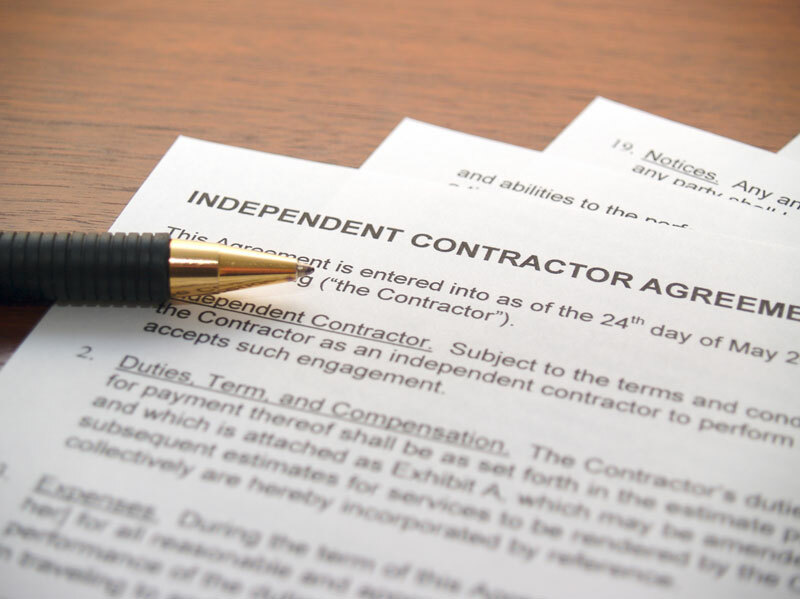 What is an Independent Contractor in California? California has now adopted a new “ABC” law regarding independent contractors. Traditionally, a contractor was a self-employed person that performed work on their own time with their own tools. They were not employees of the company they worked for. Contractor status was an attractive classification for companies because they could save on employment costs, such as health insurance and PTO. However, the lines were often blurred. Companies would mistakenly classify workers as contractors even though they didn’t follow these traditional norms. Now, the ABC rule can help companies and contractors alike determine the appropriate status. C) The worker typically works independently in a trade similar to the work they perform for the company. When the three above criteria are met, the worker can be classified as an independent contractor. This clarification has long been an issue of hot debate with its complications extending well before the gig economy. Companies would often classify employees as independent contractors in order to save money on regular employment costs. Nevertheless, they would still require the contractor to work certain hours and controlled how the work was performed. This new law eliminates these compliance issues and benefits both the company and worker alike. Now, workers can ensure they’re classified appropriately and avoid being taken advantage of by employers. Companies can also save themselves from legal hassles associated with misclassifying employees. The law leaves little room for interpretation and may encourage other states to follow suit in the future. If you’re a business or independent contractor in California, you should realize this law has already been passed. Business owners should review their list of contractors to ensure that each one meets the new guidelines. It is also the contractor’s responsibility to review their own scope of work to ensure the companies they perform work for align with the guidelines. If either party finds an instance of misclassification, you may need to restructure your employment status and classification to ensure compliance with the new law. CA HR Services is ready to meet with you to ensure you meet the requirements of the ABC law. We can help you navigate the complexities of partnering with and classifying independent contractors. Contact us today for a consultation and feel confident in the team you’ve built.